In Ubuntu Oneiric’s universe repository there’s a package gnome-session-fallback that provides classic gnome desktop, but it ugly and uneasy to configure panel. 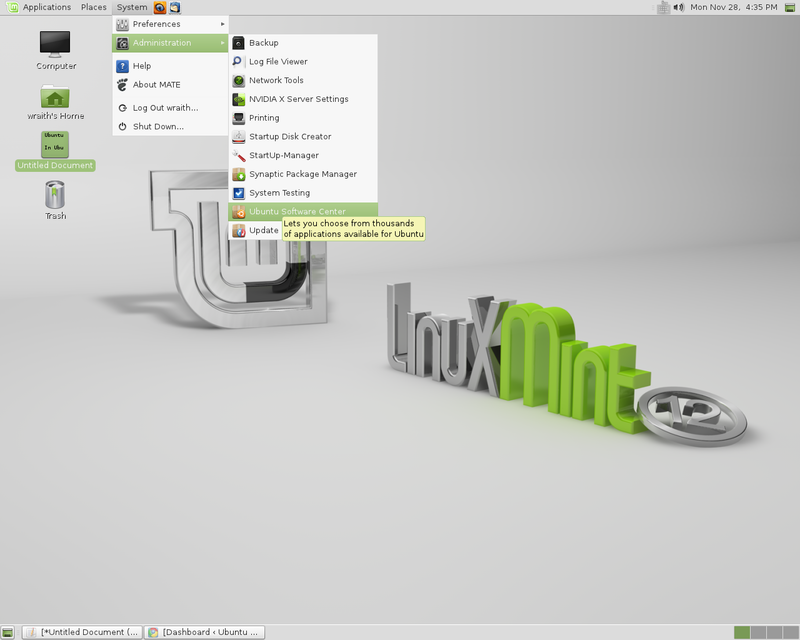 Now Linux Mint 12 has released. It brings MATE and MGSE. NOTE: MATE is brand new, it’s not completely stable yet, and it’s missing a few parts. MGSE stands for Mint Gnome Shell Extension, it’s a Gnome 3 desktop with classic Gnome 2 style interface. in pop-up gedit window add this line to the end and save it. Now update the source, add the GPG key, and finally update the source again. I failed to install MATE due to python-desktop-mata package. But MGSE properly installed, previous picture is a screenshot of MGSE. There’re two broken packages that can be fixed by Synaptic Package Manager. 2. )Launch Synaptic Package Manager, find Broken under Custom Filters. Mark to remove broken packages and finally apply the changes. After installed MGSE and MATE, you may got error while running sudo add-apt-repository and can’t launch Ubuntu Software Center. 3 users responded in " Ubuntu 11.10 Install Classic Gnome2 Desktop Linux Mint Mate "
Hye Admin..I have Installed it on my Ubuntu 11.10 and now I don’t wanna use this anymore..how to remove it?